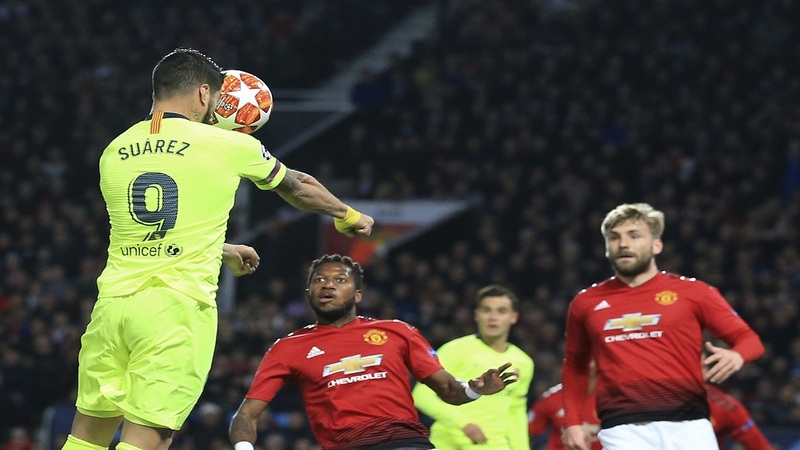 Barcelona's Luis Suarez heads toward goal during the Champions League quarterfinal, first leg, football match against Manchester United at Old Trafford stadium in Manchester, England, Wednesday, April 10, 2019. Suarez's header deflected off Luke Shaw and into the back of the net. 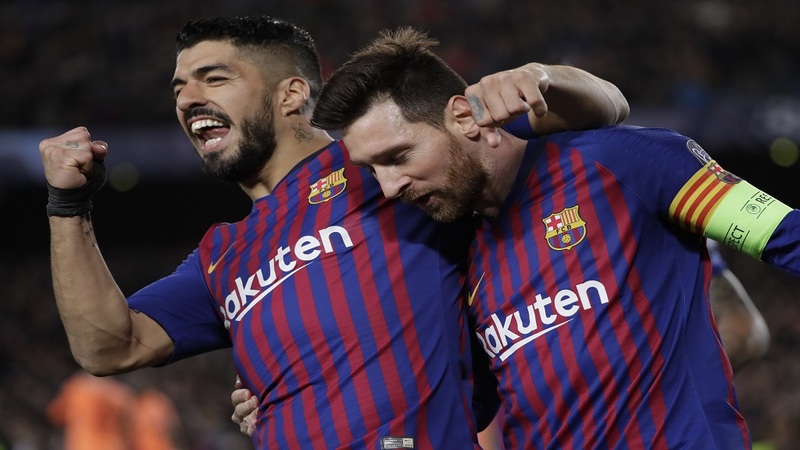 Barcelona took a big step towards their first Champions League semi-final in four years as they claimed a slender 1-0 win away to Manchester United despite a thoroughly underwhelming performance. Ernesto Valverde's men were far from their best, with Lionel Messi uncharacteristically quiet, though United failed to make the most of their periods of superiority and must win at Camp Nou if they are to progress any further in the competition. Barca's positive start saw them produce the only goal, the unfortunate Luke Shaw deflecting a Luis Suarez header into his own net, though United looked bright for the remainder of the first half. 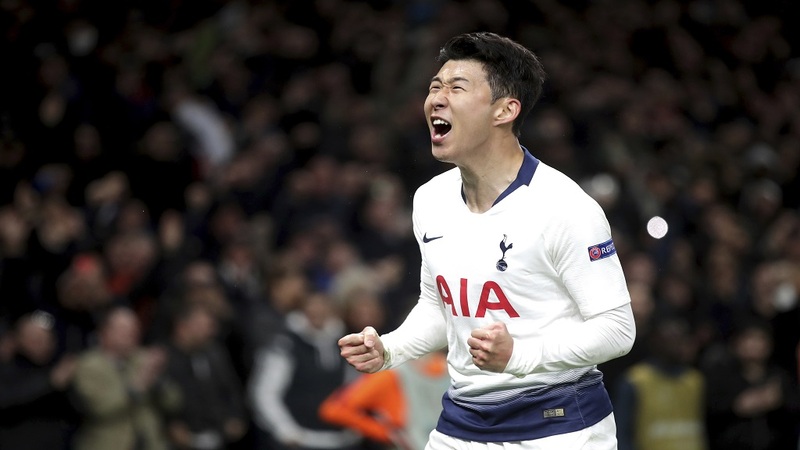 Although that pattern of play resumed after the interval, Ole Gunnar Solskjaer's side struggled to craft meaningful chances and, as sloppy as Barca were, they successfully held on to a crucial away win. Barca took the early initiative and led in the 12th minute – Messi picking out Suarez at the back post and his header glanced off Shaw and trickled in. 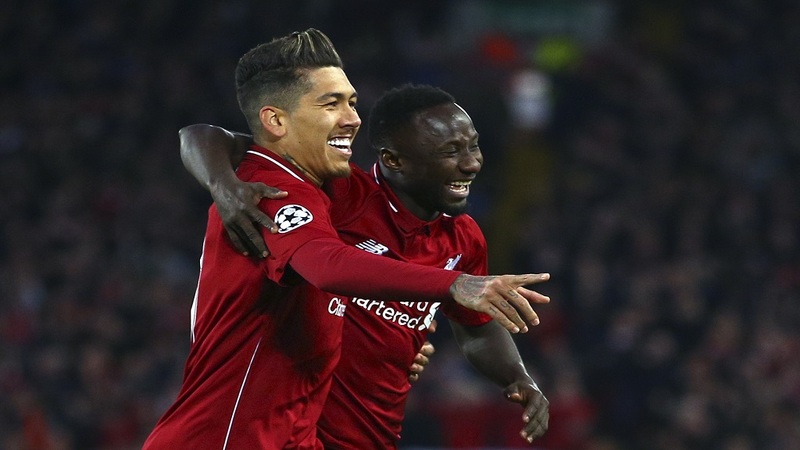 United improved as the half went on, though David de Gea had to be alert with 36 minutes on the clock, using his left foot to keep out Philippe Coutinho's effort. Diogo Dalot should have given United a deserved equaliser soon after, meeting Marcus Rashford's deep cross and inexplicably putting a header across goal rather than towards it. United continued to look the better side after the break and wasted another chance early on – Rashford's close-range volley skewed horribly wide. Barca remained a threat, though, as Suarez shot into the side-netting after excellent play by Nelson Semedo, before Jordi Alba tested De Gea at his near post. The visitors were not made to pay for those misses, however, with United's poor service failing to improve.